James Harden and the gang have a long postseason ahead of them. The Rockets want to eviscerate Minnesota quickly and move on to the next round. 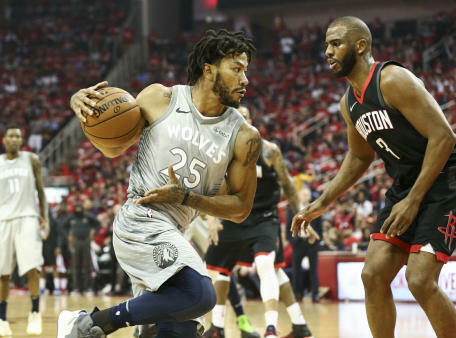 When the Timberwolves stole Game 4 at home by an impressive 121-105 win over Houston, fans thought maybe, just maybe Minnesota has a chance in this one. Then the Rockets abruptly shut up that narrative with a 119-100 win again at the Target Center. 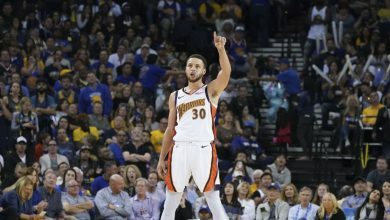 Now as we head into the 4/25 NBA free pick that has shifted back to Houston, most people know that the Rockets advancing is nothing more than a formality. Is this the perfect opportunity for Karl-Anthony Towns and Co. to steal one and get the series back to Minnesota – or have T’Wolves players already brought their golf clubs with them in preparation for the offseason? Who’d have thought that Derrick Rose could actually be a key component to tonight’s game? Minnesota could have made this is a series if they would’ve snagged Game 4. 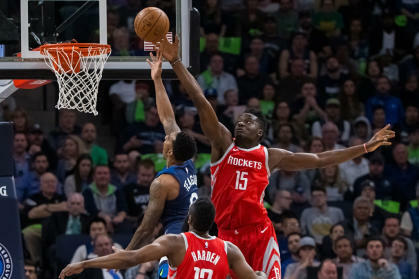 It would have been easy for the Timberwolves to quit altogether in that game after giving up a historic 50 points to the Rockets in the 3rd quarter and falling down by as many as 39 points. Minnesota kept fighting though, and actually got the game down to singe digits for a time after outscoring Houston 31-19 in the 4th. Can the T’Wolves carry that momentum heading back to Houston in the 4/25 NBA free pick or was the last game simply a last ditch effort and now Minnesota is gassed? So if the T’Wolves are going to steal Wednesday’s contest as +711 underdogs, how are they going to do it? Coach Thibodeau ran through Karl-Anthony Towns early on Monday night and if was successful. The big man finished with 22 points and 15 boards. Derrick Rose could be another key as he contributed 17 points in Game 4, the former MVP’s third game in the series with 16+. Jimmy Butler and Andrew Wiggins combined for 48 points in the Game 3 win so if that duo can contribute in a similar manner on Wednesday night the Wolves could have a chance. Is Houston Focused On All Business? Capela has been huge in this series…and he’s not done yet. The Rockets were arguably outplayed three of four quarters on Monday night – and they still won by 19. This is an example of just how far and above talent-wise this Rockets team is in this series. The Rockets were able to take a 3-1 series lead despite shooting 37.2% (16-43) from three point range – which is a bad percentage for them. On paper it looks like the Rockets offense is clicking in this series. 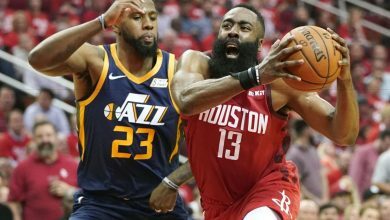 James Harden and Chris Paul combined for 61 points Monday and the likes of Eric Gordon (18) and Clint Capela (14 points, 17 rebounds) were also big contributors. There’s more to the story though…. 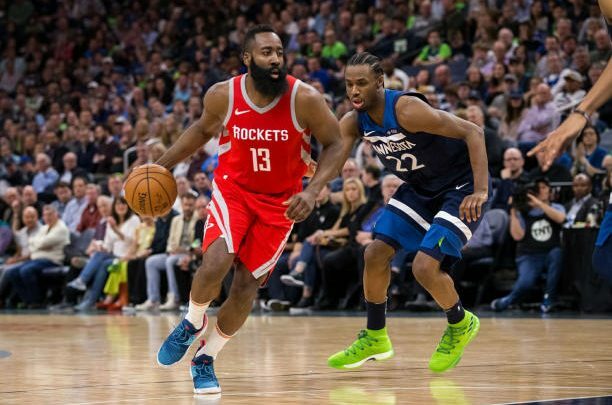 The T’Wolves should be confident heading into the 4/25 NBA free pick as they’ve held Houston’s #2 scoring offense to just 103 points per game in this series. 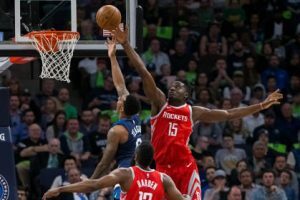 Minnesota is outshooting the Rockets (44% FG, 41% from three point) while limiting Houston to 31% from three point range with contested shot after contested shot. Home court advantage is going to loom large for the Rockets tonight, but is the line of HOU -12 just too much? 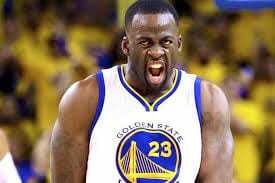 64% of the bettors are liking Houston and the points tonight. Minnesota does have the talent to actually pull this game off, but for the most part whatever success they’ve had in the series has been due to Houston’s inability to make shots. The last thing any Rockets player wants to do is hop back on a plane for a dangerous Game 6 in Minnesota. This is especially true if closing out the series means gaining rest on either Utah or OKC – as the Thunder can also extend the series with a victory tonight. Houston can exert their will tonight, and Minnesota could call it a wrap on the season if they get down by a bunch in the 3rd. Rockets in a big one. Every loss is a chance to learn a lesson. 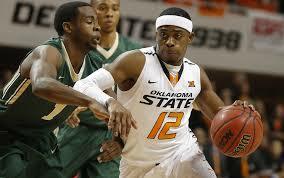 That being said, wins are so much more enjoyable. Follow along to tap into the wisdom I've learned from 20 years as a sports bettor. 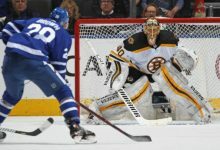 Follow along on Twitter for more picks and DFS news @dailydogsports.